“Functional language” is language that we use to perform various “functions” such as “agreeing” or “disagreeing”. 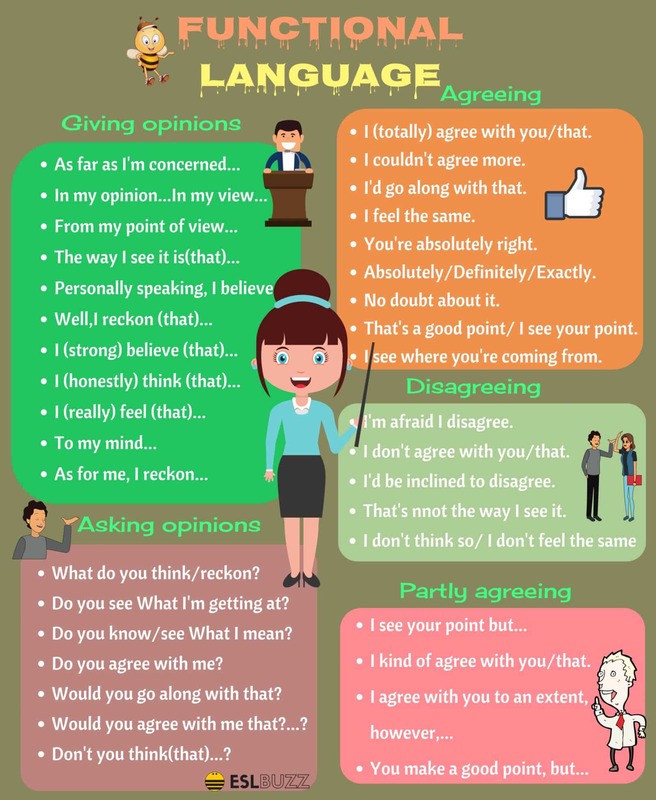 Learn useful English phrases for discussion and debate. I agree/don’t agree with you. You’re right up to a point. How to Say HELLO in Different Languages…!